When working in a busy kitchen, you need to ensure staff are protected in the event of an injury. 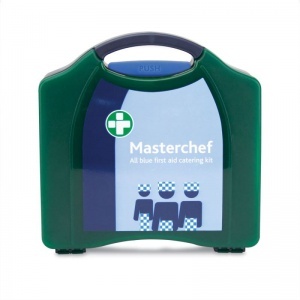 The Masterchef All Blue Catering First Aid Kit is a superb kit designed specifically to be used in food preparation areas. Each kit comes in a durable, airtight Aura case that protects the contents within from moisture and dust. 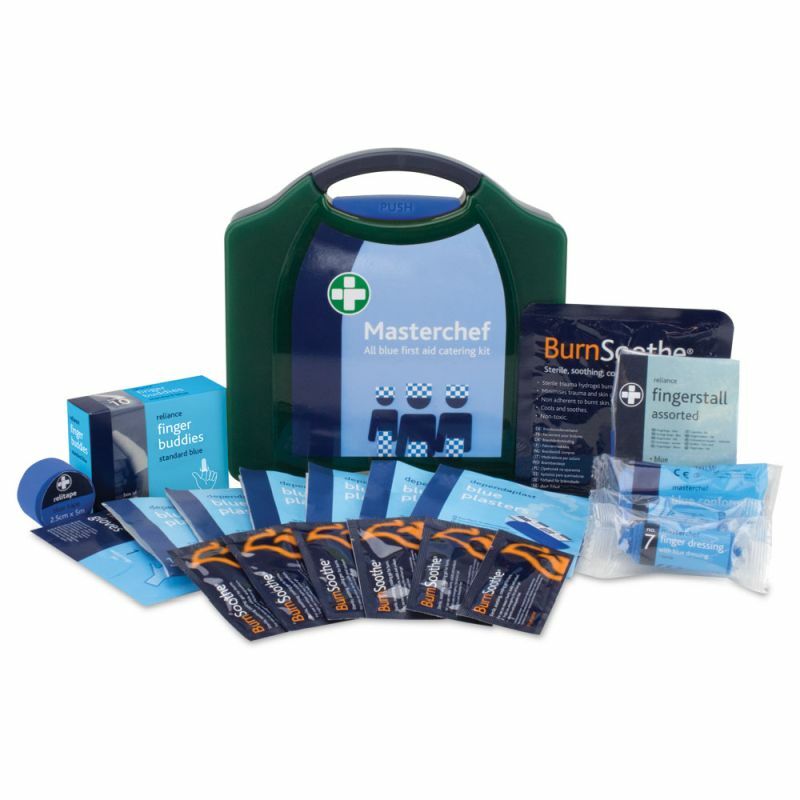 You will never be far away from competent assistance during times of need with one of these handy kits stored away in your kitchen area. The Masterchef All Blue Catering First Aid Kit is usually dispatched via First Class Royal Mail and delivery should be within 1 to 3 working days.